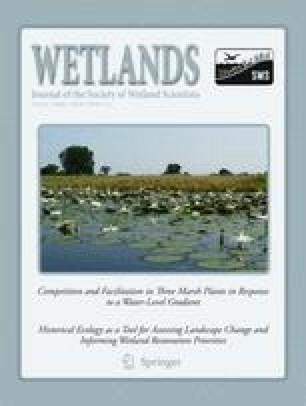 We developed vegetation models that, when linked to groundwater-hydrology models and landscape-level applications, can be used to predict the potential effect of groundwater-level declines on the distribution of wetland-forest communities, individual wetland species, and wetland-indicator groups. An upland-to-wetland vegetation gradient, comprising 201 forest plots located in five different study basins and classified as either upland pine-oak, pitch pine lowland, pine-hardwood lowland, hardwood swamp, or cedar swamp, paralleled variations in water-level. 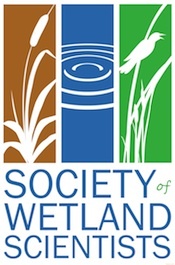 Water levels, woody-species composition, the percentage of wetland- and upland-indicator species, and soil properties varied among the five vegetation types. Because of the functional relationship of hydrology with its correlated soil variables, hydrology represented a good proxy for the complex hydrologic-edaphic gradient associated with the upland-to-wetland vegetation gradient. Two types of vegetation models were developed to predict potential changes in vegetation associated with water-level declines. Logistic regression models predicted the probability of encountering the different vegetation types and 29 community-indicator species in relation to water level. Simple regression models predicted the relative abundance and richness of wetland-and upland-indicator species as a function of water level. We thank Robin Van Meter, Jennifer Ciraolo, Cathy Brown, and Kimberly Spiegel for assistance with data collection, and John Bunnell and three anonymous reviewers for helpful comments that improved the paper. Funding for this study was provided through the Water Supply Bond in accordance with New Jersey Public Law 2001, Chapter 165. This paper is based on a report that was prepared for the Pinelands Commission.